Lisa from Blooms + Twine designed the most beautiful floral arrangements for my wedding day. The flowers complimented the bridesmaids dresses and mine perfectly! After seeing her work at a wedding expo I knew I could trust that she would do an amazing job. Her service before and during the wedding was great, Lisa answered all of my questions and asked me a few to make sure she could make something that would perfectly suit us. I just wanted to send you a big thanks of appreciation for my beautiful flowers on my wedding day. I absolutely loved them and cannot even picture anything more stunning! 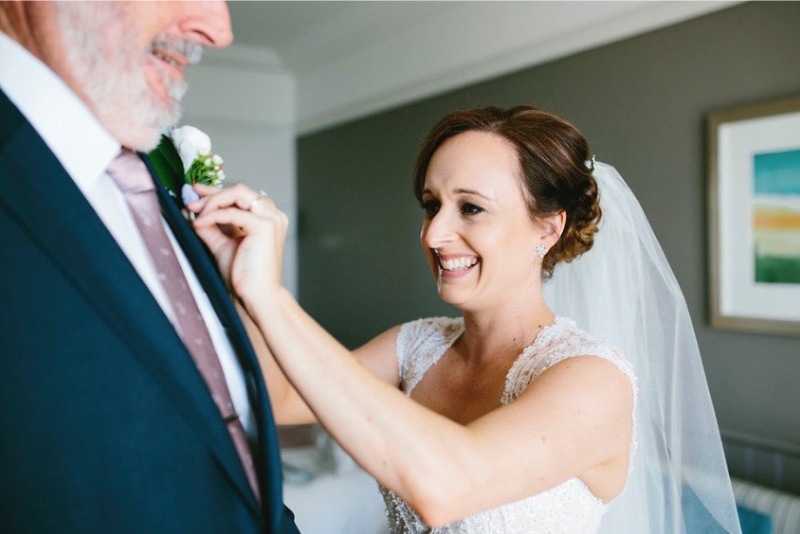 Lisa did an exceptional job of arranging the flowers for my wedding in the Hunter Valley in May. She showed so much organisation, creative flair and professionalism throughout the whole planning process and right down to the day. Lisa did a fantastic job with the flowers. The wedding bouquets were perfect. She is very talented and has a great eye for putting together a great array of flowers. She matched my inspiration perfectly. I just wanted to say a huge thank you for the spectacular flowers for our wedding on 7th October. Your incredible creations far exceeded my expectations AND imagination! The colours and arrangements were beyond perfect. Soooo many people commented on the flowers! You were an absolute delight to work with and I won’t hesitate to sing your praises at every opportunity! I was determined to not get too emotional and teary on the day... The only time it got the better of me was when I first saw the flowers, honestly you just completely blew me away!